Virtually No FAT! Less Carbs Than Before! Only 0.6g per Serving! Scitec 100% Whey Isolate formula was designed with two main goals in mind: to provide a very high concentration of protein in the formula for a delicious taste and allow the consumption of protein giving the fastest, the maximum increase in the concentration of amino acids in the bloodstream or muscle it immediately into a state of anabolism. 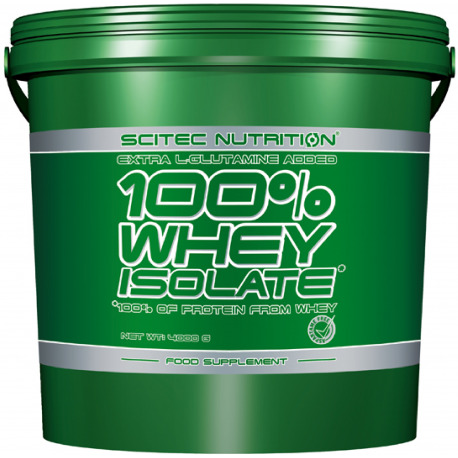 Scitec 100% Isolate has a low content of lactose, fat and carbohydrates. It is also very convenient to use because it can be a simple spoon or mix in a bottle, is not that you need a blender or shaker. Scitec Nutrition Isolate contains pure whey protein isolate with the highest possible nutritional value of the coefficient denoted BV-159 (ion exchange isolate, isolate, micro ultra filtered, hydrolyzed whey protein peptides). Whey proteins have a high content of essential amino acids such as glutamine and BCAA. A special protein fraction used to produce Scitec 100% Isolate amino acid forms peptide bonds that are easily transported to the muscles. Faster and greater absorption of amino acids is faster and more powerful effect. 100% Whey Isolate is low in lactose, fat and carbohydrates therefore ideally suited to low-carbohydrate as a dietary supplement aimed at improving the quality of the figure, muscle strengthening and fat reduction. 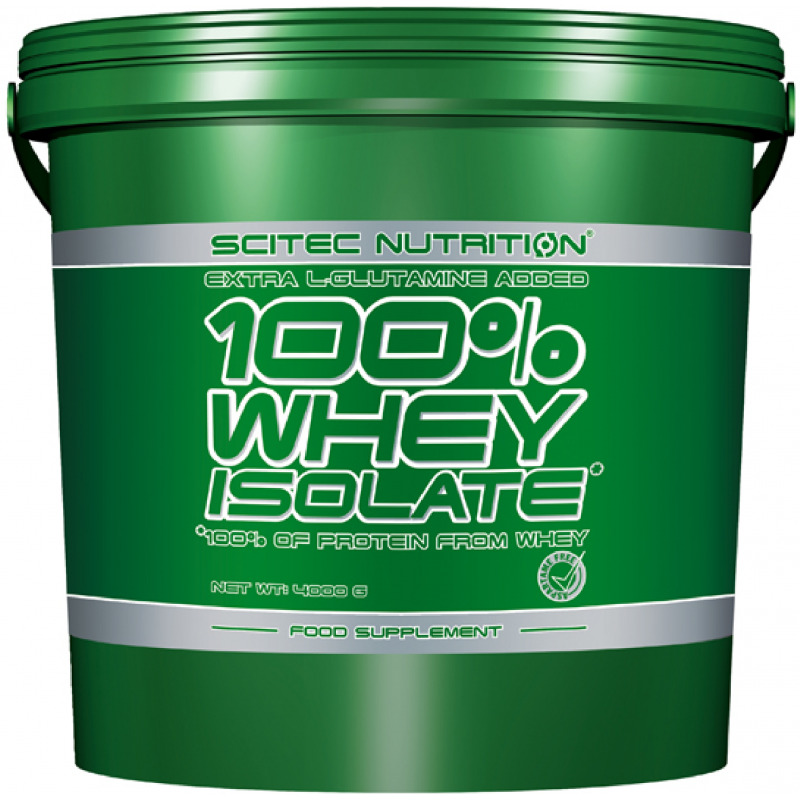 Scitec 100% Whey Isolate gives you a full guarantee that you use the highest quality protein derived from whey concentrate. Bet on a proven brand. Cross-flow microfiltered and ultrafiltered whey protein isolate (containing beta lactoglobulin, alpha lactalbumin, bovine serum albumin, immunoglobulin G, lactoferrin, glycomacropeptide protein microfractions), L-Glutamine, Thickener (Xanthan gum), Artificial Sweeteners (Acesulfame K, Sucralose), Cocoa Powder (10-12%), Natural Flavor. Mix 1 scoop in 250 ml water, milk or any other liquid. 100% Whey Isolate can be used with any meal to boost its protein content or alone under special circumstances (diet, before bed, etc.) Depending on your lean mass and nutritional needs, use 1-3 servings daily.